1) 1/4” Masonry fasteners. 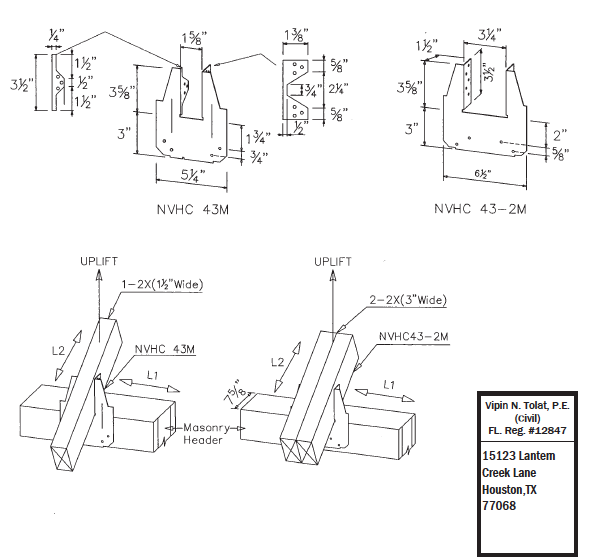 1 1/4” embedment by ITW Buildex shall conform to Manufacturer’s Published Information. 2) Masonry Header can be hollow concrete blocks or grouted concrete blocks or poured concrete beam.